Mui Ne is a small fishing town located in the Vietnam province of Phan Tiet, not too far from Saigon. The word means sheltered cape in Vietnamese and the bay behind this very windy part of the world is where the town is located. Windy, is of course the reason that this guy arrived here. The kite is on in the northern hemisphere winter, and after spending time sitting on my gas hog, I was ready to get back into shape and enjoy the ocean. I don’t have many photos of our kiting (because I was kiting, duh), but overall, Mui Ne ended up being a wonderful spot. I stayed at a kiter hangout hostel, with a high quality ping pong table (great warm up before getting on the water), and cool people. My favorite kiting on Mui Ne was doing the down-winder to Phan Tiet. Dodging multiple lines of fishing nets while cruising through overhead shore break on Malibu beach wasn’t very relaxing for me, so I usually stuck to the main Mui Ne bay, partly as well out of sheer laziness. This entry was posted on March 24, 2011 by 21stcenturyhobo. It was filed under kiting, Minsk, Vietnam . Hello! Not sure if you’re still checking in on this, but I came across your blog on a kite forum site. I’m headed to Vietnam in a week, hoping to take some kitesurfing lessons. 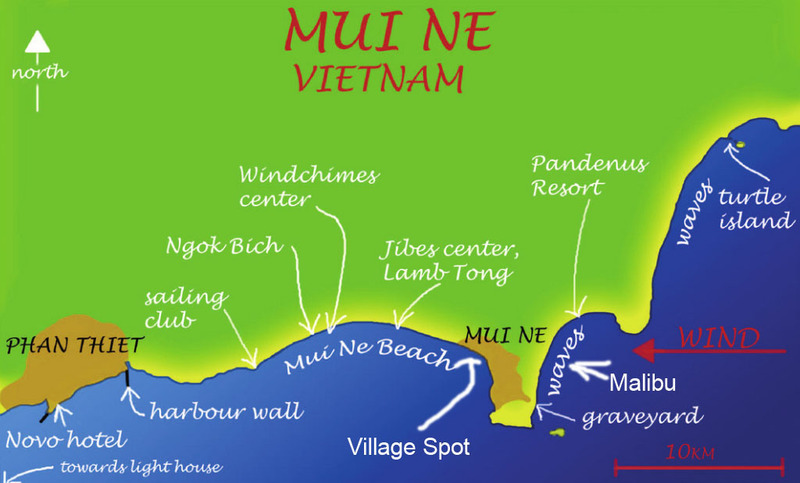 Mui Ne seems to be the place to go, but maybe crowded with kiters? Would love to hear any thoughts on what you found there if you have time (or anywhere else in Vietnam for that matter!). Hey there! Mui Ne is fun. My favorite trip is the downwinder to Phan Tiet — take a cab back. You’ll get gorgeous little waves and butterflat water behind breakwater in Phan Tiet (questionable water quality though). If you’re still learning, I would take a class further west down the beach where it’s wider. When I was there the beach was very narrow and had a mean shore break in front of some of the resorts. Not very good learning conditions. I wouldn’t worry about the crowds..it’s a large bay.